How to find dog sitting jobs? If you are new to the business it can be difficult to find a job dog sitting. You need to keep your prospective customers in mind. What are they thinking when looking for a new dog sitter? They want someone who is trustworthy, and does what they say they will do. They are looking for someone who will treat their dog with love and respect. They are looking for a trained and seasoned professional. So you are not a professional dog sitter, why should someone want you to take care of their loved one? Ask yourself what you can provide that other dog sitters or kennels cannot. You can provide your own special love of dogs and your own unique personality, you must showcase that you can provide personalized care in a loving and safe environment. First steps in finding dog sitting jobs - Sit down and write your rough draft resume, this can be used later to help you write advertisements. Think about the dogs you have owned and the special things you did with your dog. Think about the things you love about dogs and why you want to start a dog sitting business? Ask yourself; Have I ever done special things to help my dog? Did you take a dog training course with your dog what did you learn and are these things that can be passed on to a dog that you are dog sitting? If you are able to provide some simple training to your clients this could be a huge bonus for them and not something other dog sitters provide very often. If you have not taken a dog training course you should consider taking one. I recommend Dove Cresswells dog training course you can even watch a free sample of her gentle and effective training style. Volunteer at your local dog shelter, this will show prospective customers that you have a genuine love of dogs, while having been exposed to many dog breeds and behaviors. Take a dog Emergency Medical Course - This is essential! Over 90% of all dogs experience a life threatening illness or injury during their lifetime. Don’t let an unnecessary death happen on your watch! Join craigslist groups for pets in your area, start answering questions that others have, you would be surprised at what may come up and you may land job sitting jobs while helping others with their dog problems. Talk to your groomer, vet and local pet supply stores about leaving flyers in their lobby. Chances are that if you are giving them business they may help with your dog sitting business, ask them to swap recommendations. Give free dog sitting to new potential customers; remember you have to get your foot in the door. 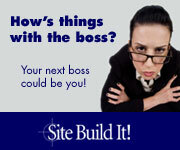 Advertise on local job boards, take your rough draft resume and turn it into ads that get results. Highlight your experience, your love of dogs, and the fact that you have a safe and loving environment to provide. Highlight that you have taken a dog training course and that you have learned emergency medical care for dogs. Start your own website, have your customers leave reviews about what a great dog sitter you are then showcase these reviews to new potential customers. If you know nothing about building websites use SBI, this site is built using SBI, and I would not waste my money again on any other web site building service. Notice how I said again; yes, I tried others and had a great looking web site but zero traffic, seriously, I no longer have a full time job because, of easy dog recipes and wish I had found SBI sooner. Even if your dog sitting jobs don’t work out, or you decide it's not for you, you will have your site as a source of income. When you start getting dog sitting jobs, go the extra mile by making homemade dog treats you can find some recipes for homemade dog biscuits on my site, or even consider selling your homemade dog treats to your customers and save them time and energy, while adding to your profits.